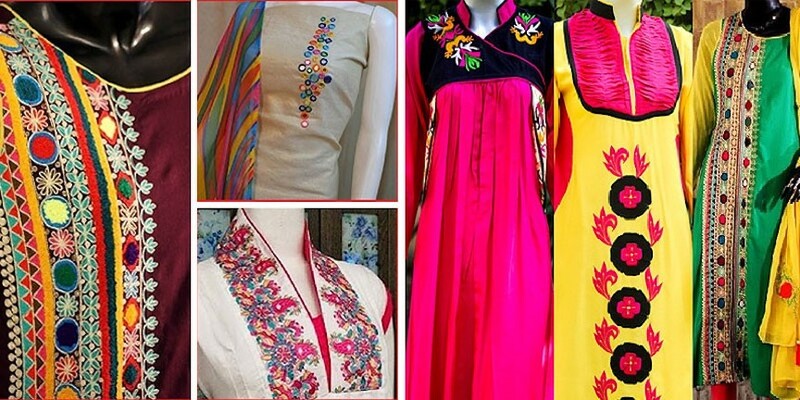 Look here to learn all about fashion apparel and fashion design. 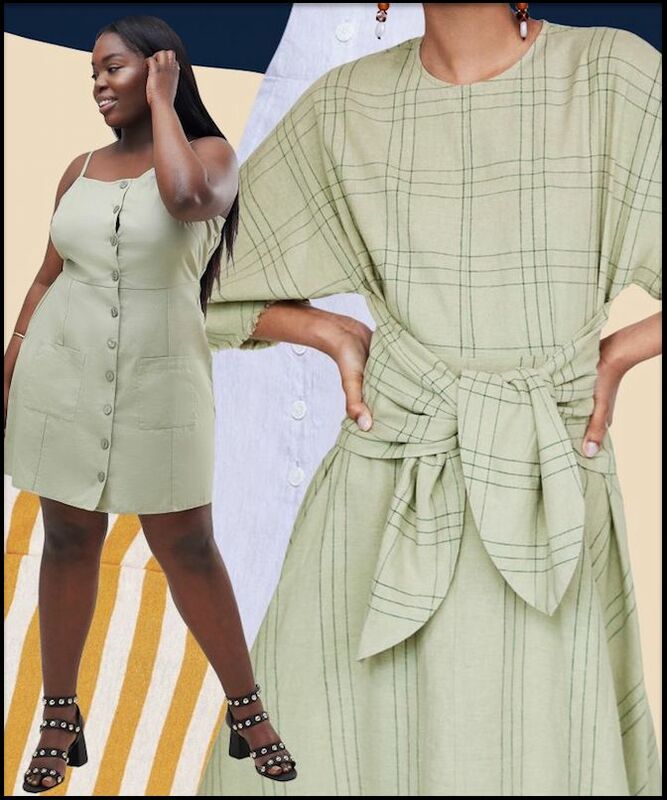 Scroll further down for related links to fashion schools Near You, Fashion Apparel outlet stores Near You, and Free sewing patterns. 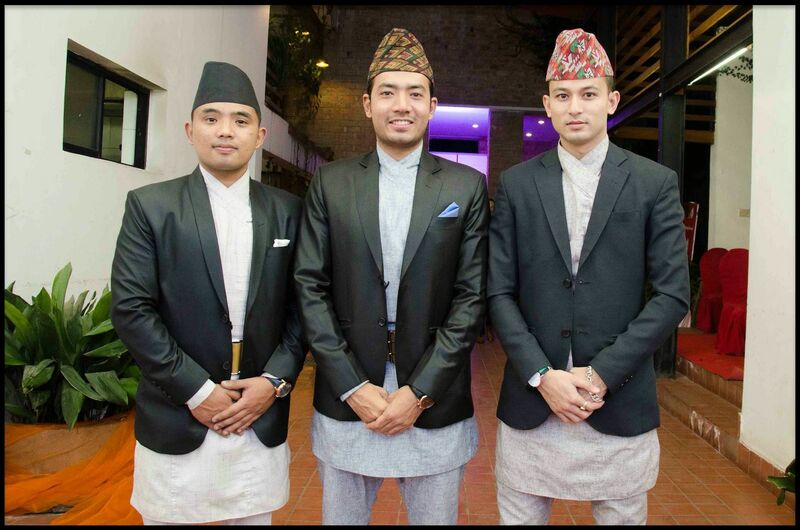 LABEDA: A long, loose men's outer garment, worn primarily in Nepal. LACE: A decorative open fabric created by knitting or looping delicate yarns together. 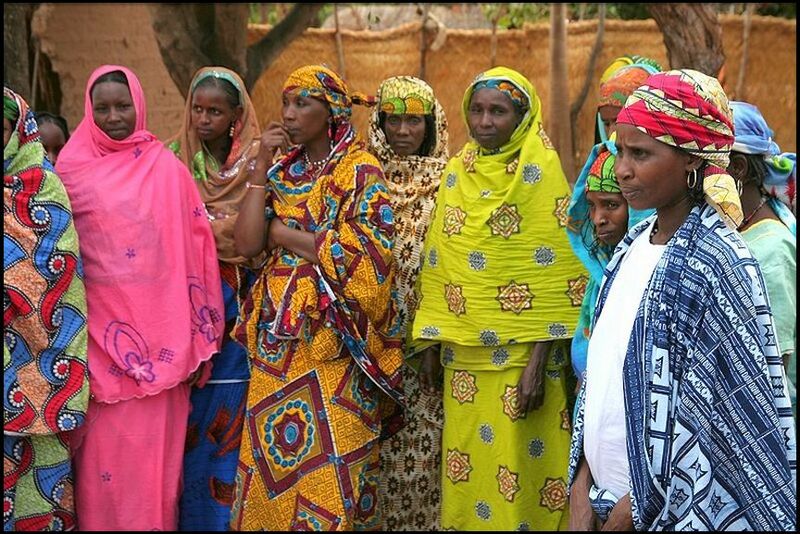 LAMBA: A flowing outer garment, traditionally worn by people in Madagascar. LAMBSWOOL: Soft, fine grade fabric made from the new hair of a baby lamb. 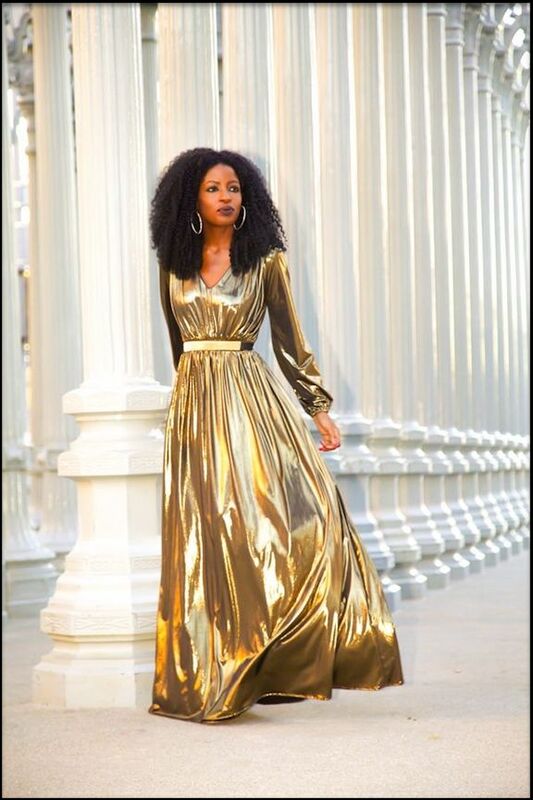 LAMÉ: Pronounced "la-MAY," a shiny fabric made from metallic yarns, and often used for making evening gowns. 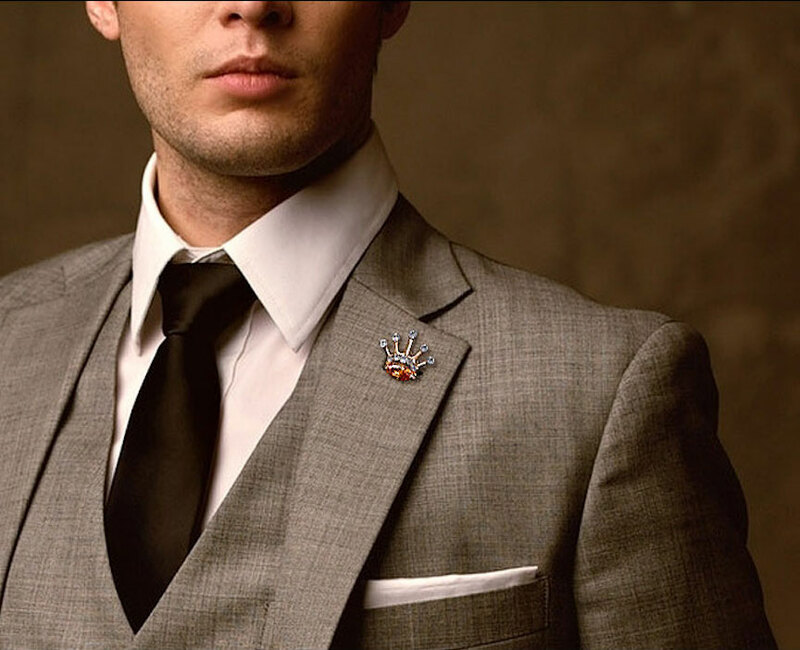 LAPEL: A folded flap normally found on the front of a coat or suit jacket. LASER CUT: The process of vaporizing fabric with a laser beam to form a cutout design. 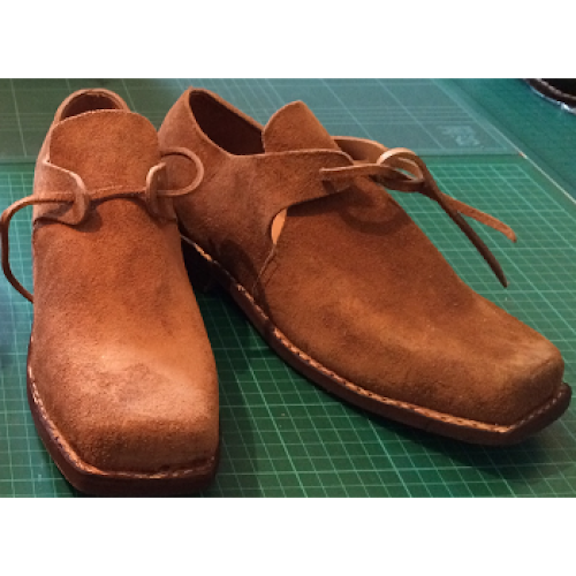 LATCHET: A type of shoe that was popular in the 17th century. LAWN: A fine, somewhat porous French fabric made from cotton or linen. 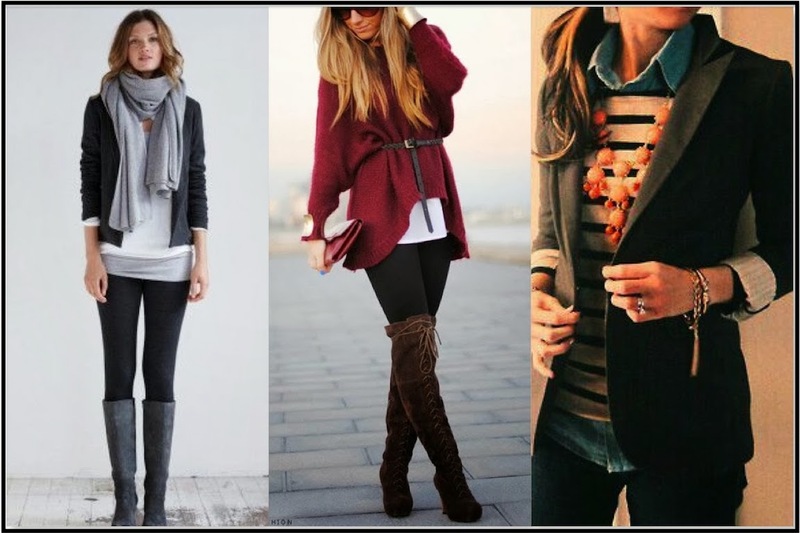 LAYERING: A styling method by which garments are worn over other garments. 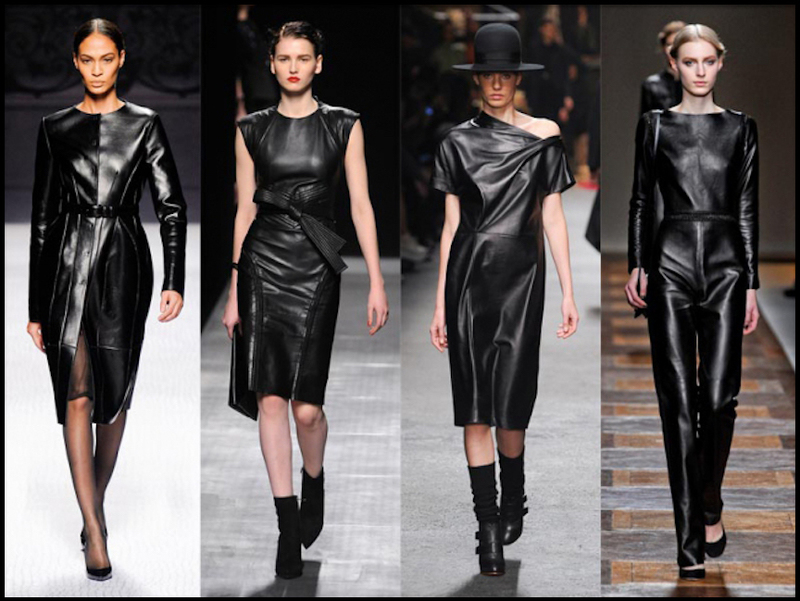 LEATHER: Treated animal hides, typically from cattle. Frequently used for (but not limited to) jackets, pants, and upholstery. LEGGINGS: Skintight pants of elasticized cotton. Often worn as a fashion statement, but also layered under pants to stay warm. 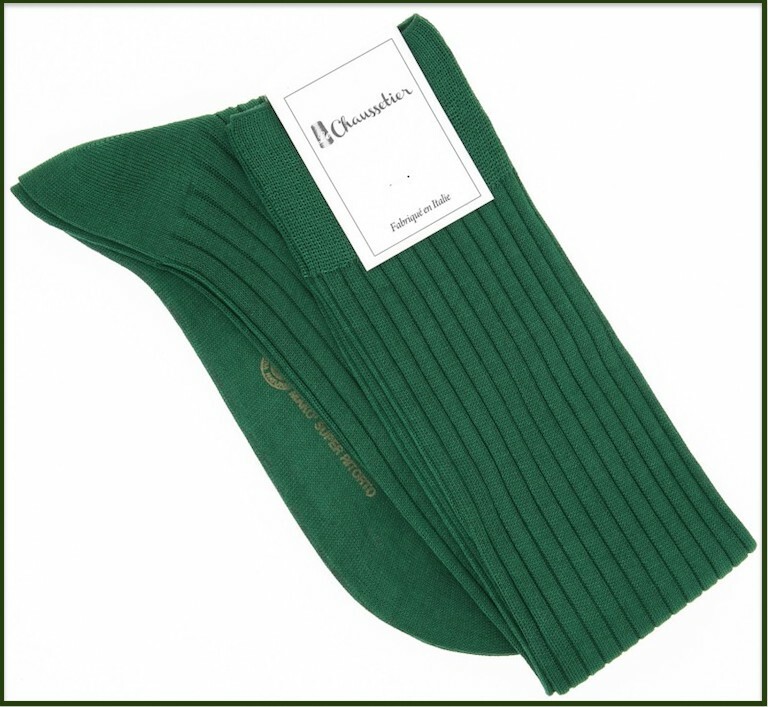 LEG WARMERS: Knitted wool or cotton tubes made to be slid on over a pair of tights. Leg warmers were a hot fashion apparel trend of the 80s. 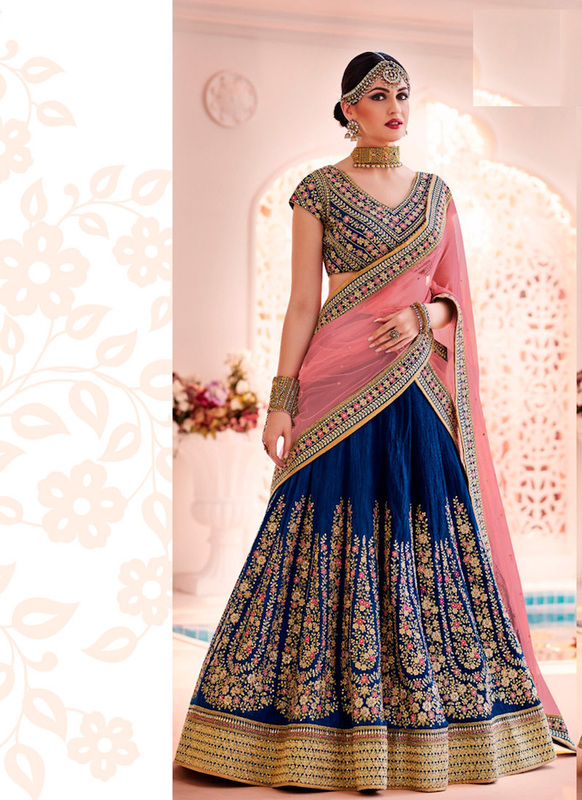 LEHENGA: A long ceremonial skirt worn by women in India. 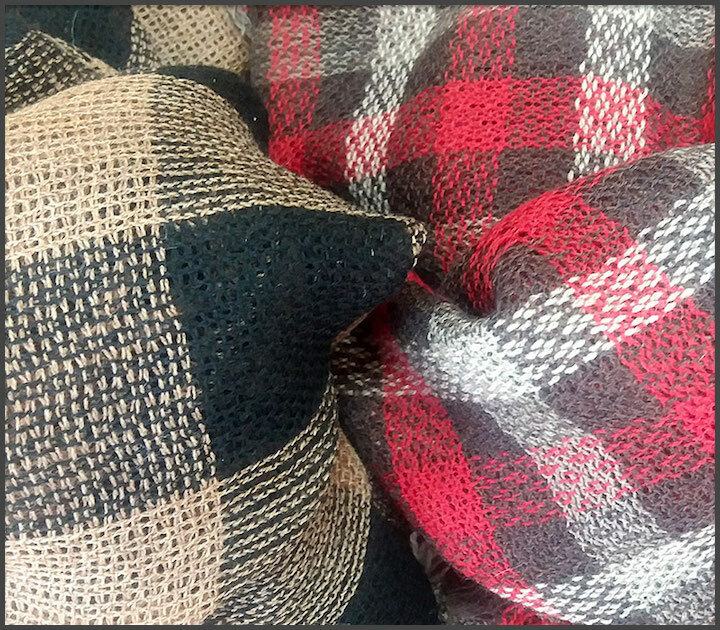 LENO: A firm woven fabric with paired warp yarns. LEOTARD: An elasticized cotton garment that fits like a one-piece swimsuit, typically with snap closures at the crotch. Leotards are most often worn by dancers. They can also feature long sleeves, and can be worn like a well tucked top. LETTERMAN JACKET: A jacket somewhat similar to a baseball jacket, which signifies solidarity with one's school. The Letterman jacket was a popular fashion apparel item in the 1950s. If a girl wore a guy's Letterman jacket, it meant they were "going steady." LIMBRIC: A closely woven, high quality cotton fabric. LINEN: An elegant fabric made from the smooth, silky fibers of the flax plant. 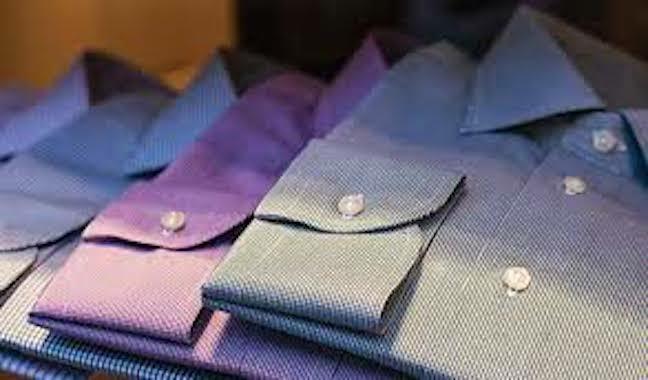 Linen has many of the same desirable qualities as cotton does, but linen is stronger and more lustrous than cotton. LINGERIE: Usually refers to skimpy, lightweight ladies' undergarments, or ladies' garments meant for private viewing. Shown below, models strut the runway for Victoria's Secret. LINT: 1. A highly absorbent woven fabric. 2. Those tiny unwanted balls of fiber that stick to fabric. 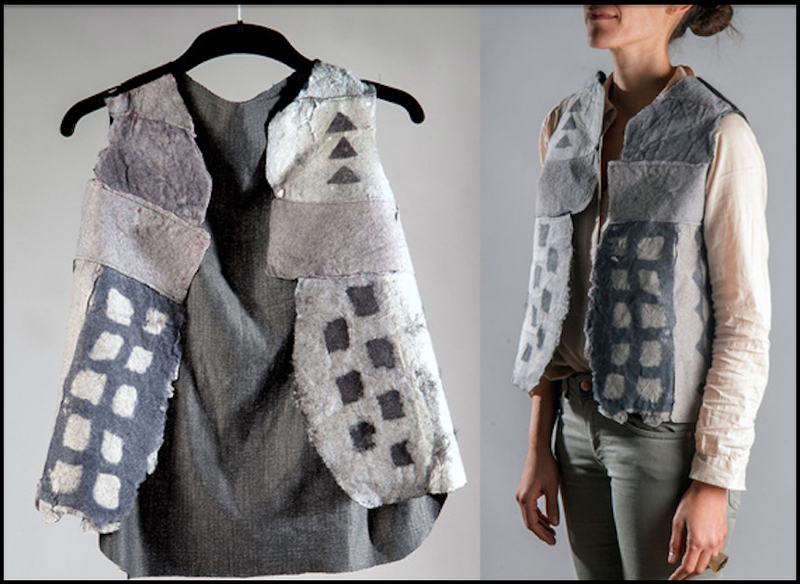 Shown below, a garment made from dryer lint, believe it or not. LISLE THREAD: A gassed, two-ply cotton yarn, typically used for making hosiery. 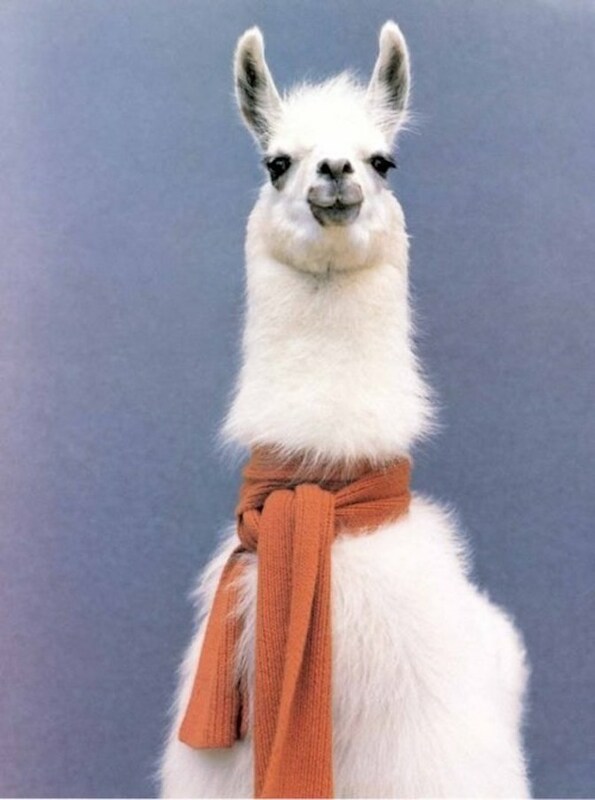 LLAMA HAIR: Fiber derived from the fleece of a llama. Similar to Alpaca and Huarizo. LODEN: A coarse, woolen, waterproof fabric, often used for outerwear garments. 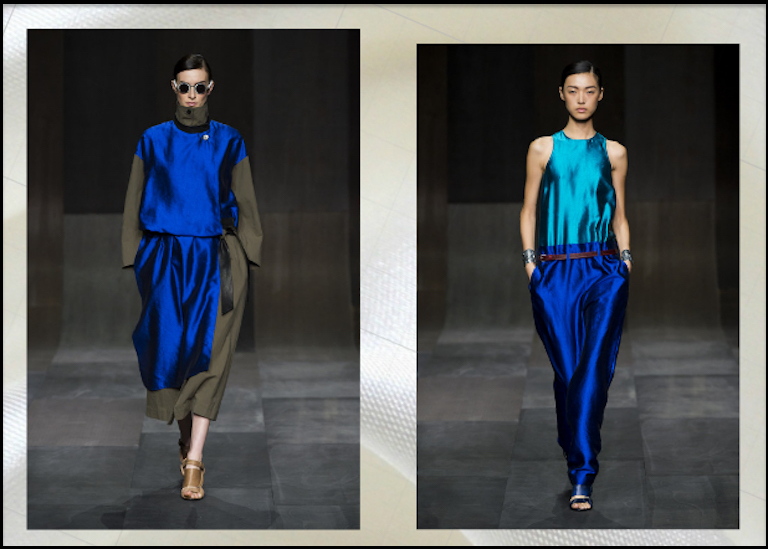 Shown below, olive green loden designs at New York Fashion Week. LOIN CLOTH: A strip of fabric worn between the legs and tucked up and over a waistband, creating apron-like flaps at the front and back. 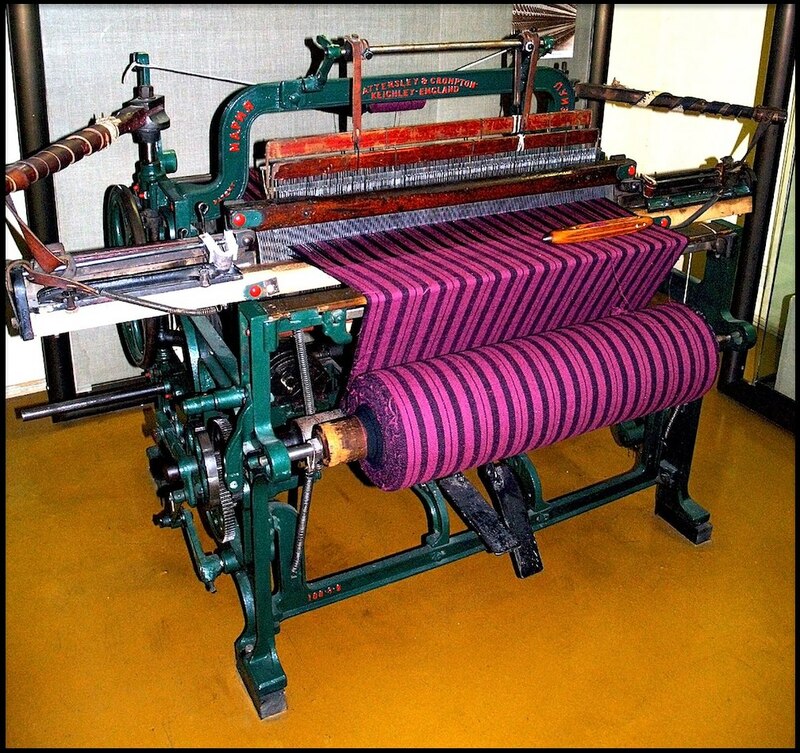 LOOM: A machine or spiked frame used for weaving strands of yarn, wool, or cloth into textured sheets to be used by designers of fashion apparel. LONG JOHNS: Thermal underwear of elasticized cotton, consisting of a long-sleeved shirt cuffed at the wrist and long pants cuffed at the ankles. Shown below, a peek at Dolce & Gabbana's long johns collection. LOUIS HEEL: A type of heel that, when viewed in profile, the front edge of the heel slopes slightly forward, while the rear edge has an hourglass curve. Also known as a pompadour heel. 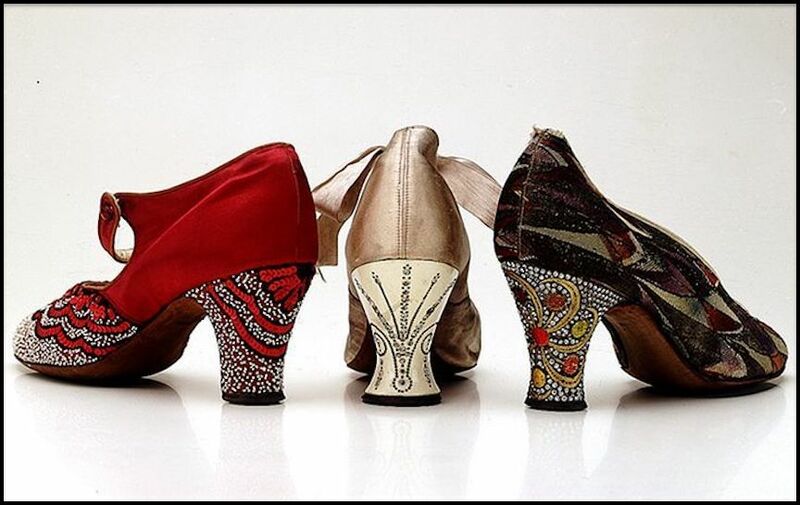 Shown below, three jeweled Louis Heel shoes from the 1920s. 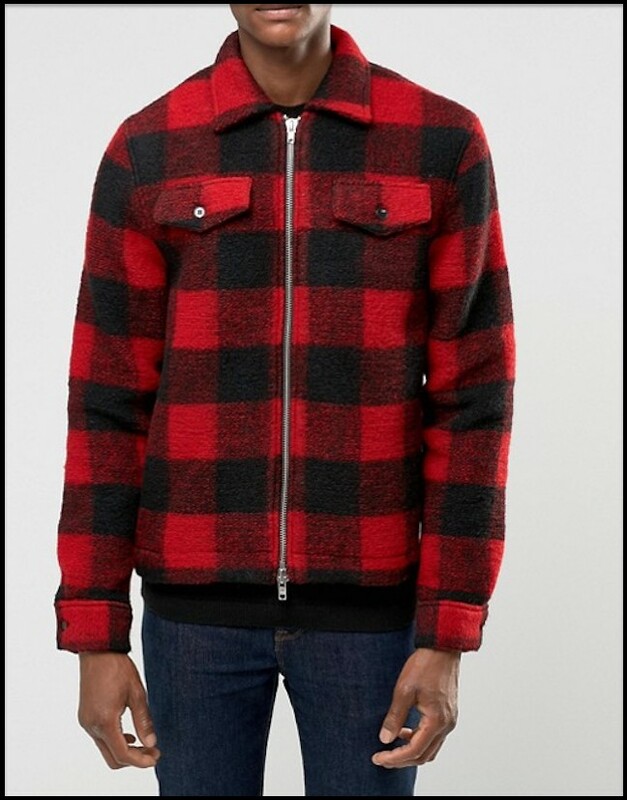 LUMBER JACKET: A heavy-duty, checked flannel jacket, typically available in red and black. Usually features a buffalo check pattern. Originally worn by lumberjacks. 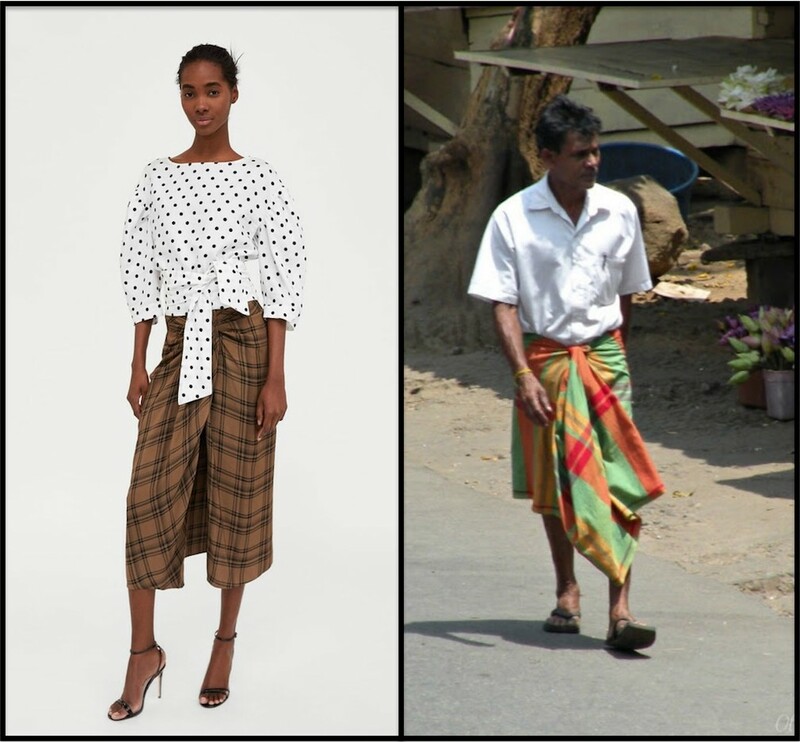 LUNGI: A long, light traditional Indian garment worn around the waist. More commonly known as a sarong. LUREX: A brand of metallic yarn made with polyester fiber and vaporized aluminum. LUSTER: The way in which light interacts with a surface. LYCRA: The brand name for a spandex fiber invented by the DuPont company. Shown below, a pair of ladies' low rise lycra leggings in holographic white-silver shattered glass. LYOCELL: A manufactured fiber made from wood pulp. Lyocell has a soft drape, like rayon, but is more durable and better ventilated than rayon. Below, a form-fitting black lyocell turtleneck top. Sharpen your fashion apparel design skills at Fashion Colleges Near You. FACTORY OUTLETS IN EVERY STATE features a detailed list of outlet stores with discounted prices on all kind of Fashion apparel.